My search for a better tripod continues ... to be honest I think it always will! Many years ago I invested in a Sachtler ENG 2 CF which was a very capable video tripod which cost me an arm and a leg ... six months later it was blown off a 600ft Scottish cliff into the sea below! Nevertheless, in the short time that I had it I realised that the twin leg tripod design was far more stable in windy conditions than any traditional single leg telescopic tripod. Unfortunately though this design of tripod is meant to be used with a central mid-level spreader, which adds weight, bulk, cost and increases set-up time. It also hampers low-level shooting. At the time I decided not to re-invest and bought a Really Right Stuff TVC-34L instead - which is still my main everyday tripod. However, the number of times I have cursed my lack of a sturdier tripod when working with longer lenses in windy conditions seems to increase year upon year. I therefore decided to invest in Sachtler once again. When a great deal appeared on a used 5590 Speedlock on eBay I could resist no longer. 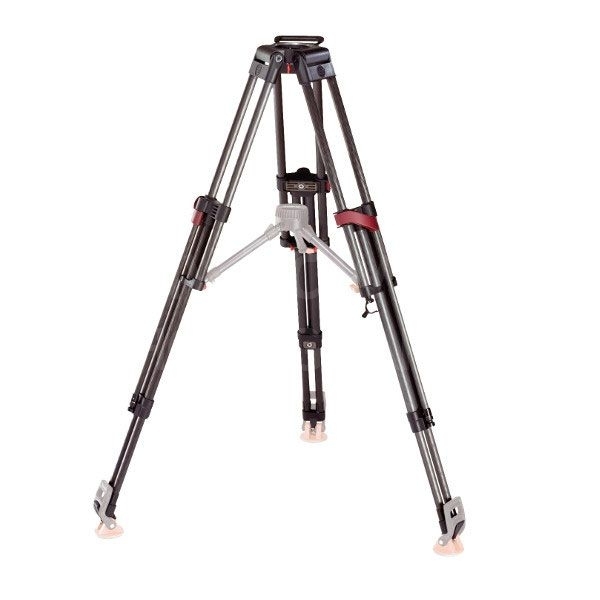 This is the heavy duty version of my previous Sachtler carbon fibre tripod, although this time it has the excellent Speedlock legs which reduce set-up time considerably. I use it with my Really Right Stuff BH-55 ball head on a Manfrotto 100mm half-bowl adaptor. The first time I used the tripod was when shooting with a 400mm lens from a Dorset hilltop where there was a light wind blowing - just the sort of conditions where I would have seen image softening vibrations had I been using the Really Right Stuff tripod. With the Sachtler no vibrations were visible at all when viewing the image at 16X magnification in Live View! All of the images from that morning were perfectly sharp. I now wish I had reinvested in Sachtler years ago! In windy conditions (even a light breeze when using telephoto lenses) there is simply nothing better than a heavy duty twin-leg video tripod. The downsides of course (apart from cost) are the size and weight of the thing! I definitely won't be travelling abroad with this beast very often, so it's still not the perfect tripod by any means!